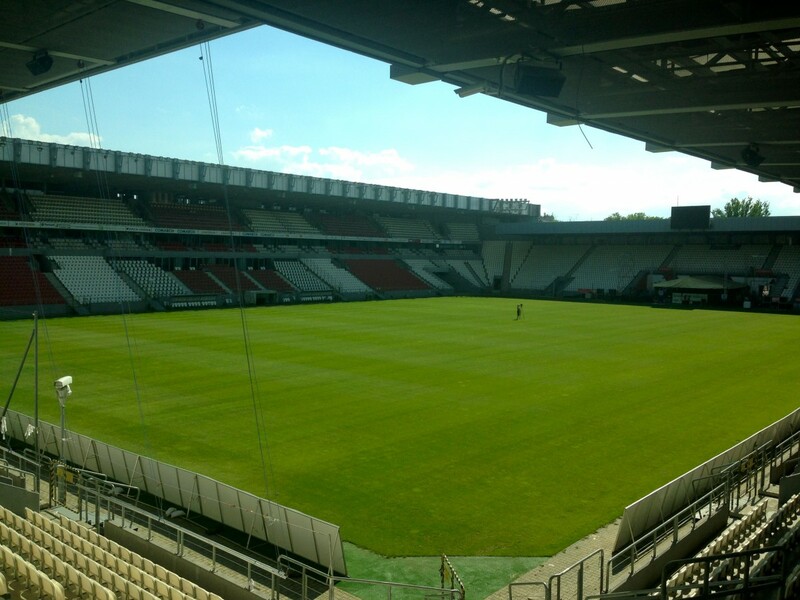 Cracovia stadium from the “Chicks and Champs” bar. Poland’s first ever Slack Liner, Peter Hirnyk encourages me to get on the plank and walk! 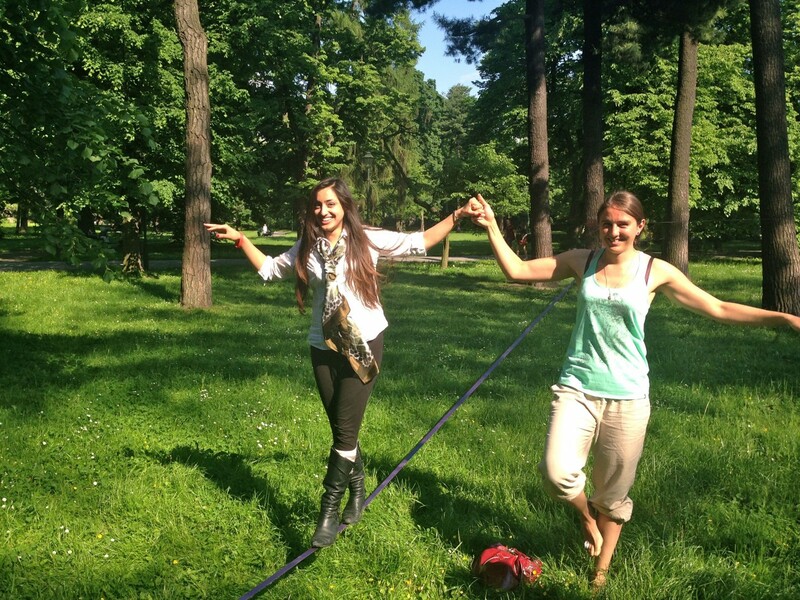 Slack liners from around the world meet in park to share their passion. The Slack liners managed to convince me to try their sport. 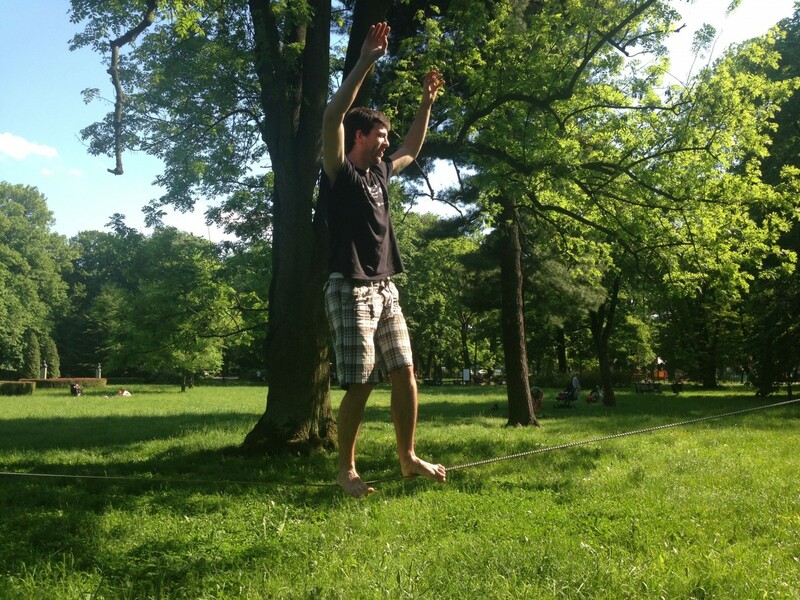 On my first attempt at Slack lining, I experienced the most painful accident in between my legs when I lost balance. On my second attempt, I was determined not to repeat the agony!